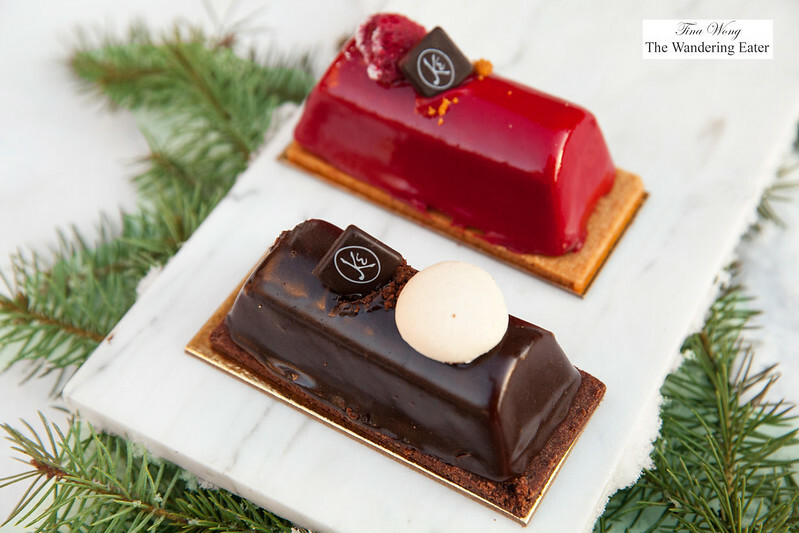 This year’s holiday offerings at Maison Kayser is continuing its tradition with the delicious and beautiful trio of Christmas bûches (their take on the yule log or bûche de Noël) – chestnut, berries and Kayser (chocolate). All are mousseline based cakes and filled with a stripe of its corresponding flavors. Not too sweet, not too firm but incredibly creamy and flavorful. The berries are tart but not bracingly so. 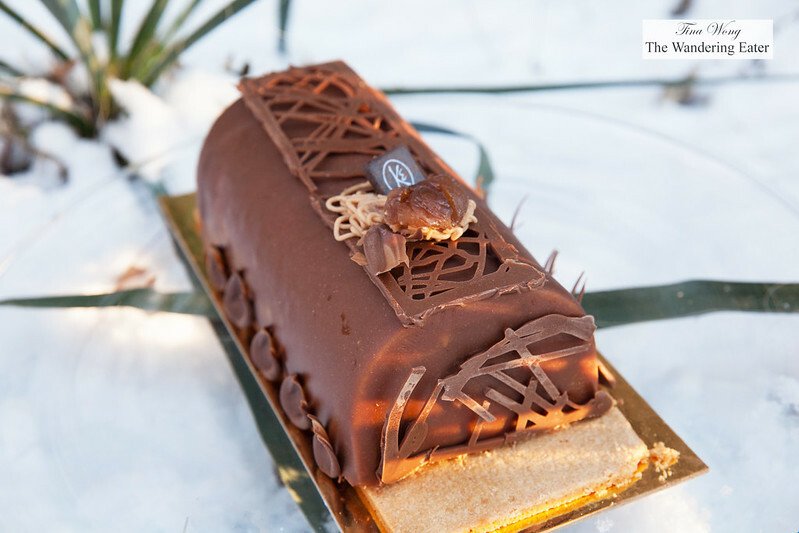 The chocolate bûche is indulgent with the dark chocolate. The chestnut is my favorite as I love this particular nut during the winter season. Speaking of chestnuts, the chestnut loaf is back. 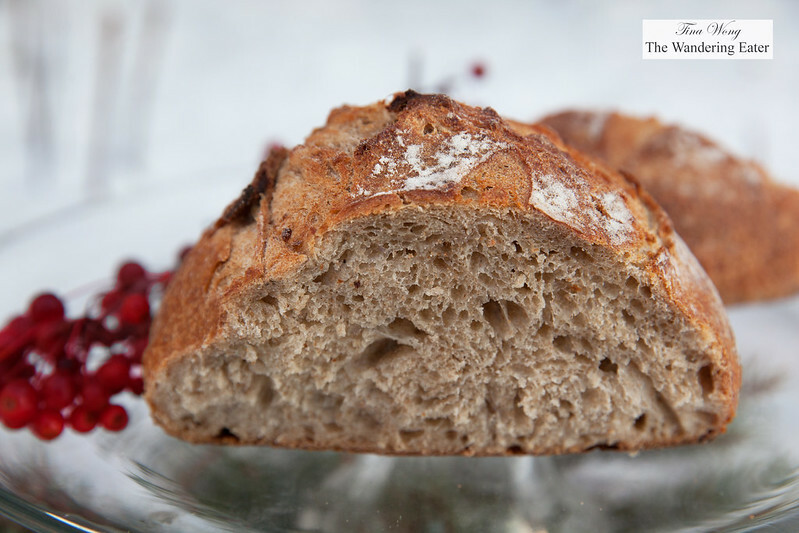 This lightly sweet loaf of bread is dotted with chunks of candied chestnuts with a good crust. It’s a great alternative for those who do not care for cakes as dessert and an option for the bread basket at the holiday table.